WorkCover: Self Insurance - A New Recipe For Rabbit Stew! WorkCover: Self Insurance – A New Recipe For Rabbit Stew! The WorkCoverSA end of year Financial Results and Annual Report were released on 18 October 2011. The media release which accompanied the report identified a profit of $30.2 million for the full financial year, and an unfunded liability of $952 million at 30 June 2011. Phillip Bentley, Chair, WorkCover Board, chose to emphasise the improvement on the previous year result when there was an unfunded liability of $982 million, but a closer examination of the annual report reveals a deterioration in the performance of the Scheme since the half year results to 31 December 2010, which revealed an unfunded liability of $865 million. The Annual Report also reveals that savings on claims liability from claims management has fallen from $153 million in the 2008/2009 year to $118 million in the 2009/10 year to $47 million in the 2010/11 year. Similarly, the underwriting result has worsened from -$18 million in the 2009/10 year to -$53 million in 2010/11. The underwriting result is the difference between the levy income received from registered employers and the cost of claims including claim-related expenses. By comparison, the underwriting result was $15 million positive in the 2007/08 annual report, $122 million positive in 2008/09 report, before returning into negative territory with a negative result of $18 million in the 2009/10 report. The underwriting result has worsened by $175 million since 2008/09! In fact, without “Strong proactive case management at the front end” I would suggest that the “financial performance will continue” to deteriorate! In September, the State’s economic outlook was downgraded to “negative” by ratings agency, Standard and Poor’s. In doing so, the agency singled out the unfunded liability for mention as a concern. All of the indicators are pointing to the need for some innovative thinking, rather than additional layers of legislative complexity being foisted upon stakeholders in the Scheme. The current Amendment Bill before Parliament which seeks to introduce a new employer payment Scheme which is modelled on the New South Wales legislation, is intended to “provide a financial incentive for employers to improve their claims experience through good health and safety practices and return to work management….it will see employers who have a good claims experience pay less and those with a poor claims experience pay more”. 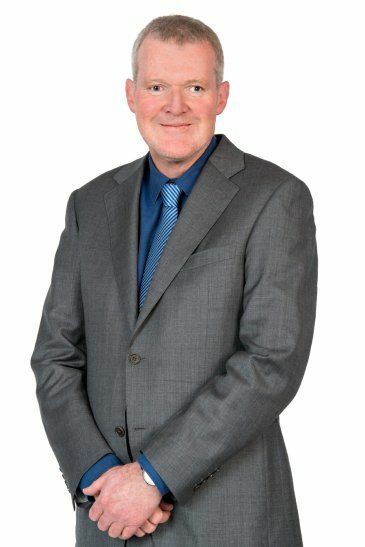 In an interview reported in the Advertiser on 13 September 2011, WorkCoverSA Chief Executive Officer Rob Thompson is reported as saying, “A good employer will take the time, not just to ensure they (injured workers) get the right treatment but getting their workmates to stay in touch to keep the person connected with the workplace – and come up with appropriate suitable duties (to keep the returned worker engaged).” He went on to say that, “What we are really trying to do here is get the organisation focused on delivering outcome, not process”. The introduction of a new Employer Payment Scheme is not guaranteed to produce the result required. For many years until July 2010, a Bonus Penalty Scheme was in operation and it was designed to have the same effect, but it did not do so and there is no compelling evidence in over 30 years experience of other Schemes that experience rating has had the desired effect. It is time to look more closely at what demonstrably works. Self insurance works for workers and employers. It can be reasonably argued that self insurance is the ultimate form of experience rating. Self insurers have the best incentive to maximise safety. They bear the entire financial cost of accidents. This incentive benefits workers and is evidenced by the fact that 36% of the Scheme (that is the percentage of the Scheme by remuneration which is Self insured) carries only 19% of the Scheme’s liabilities. It is logical to argue that the single most effective method of improving the performance of the Scheme would be to increase the number of Self insurers. Self insurance in workers compensation terms describes employers that fund and manage their own claims. They pay a small levy to cover costs associated with the administration of the Scheme. Each of Australia’s compensation systems, whether State monopolies or competitive markets, allow Self insurance, but only grudgingly. The SA Government rejected a recommendation by the SA Parliament’s Statutory Authorities Review Committee that WorkCover stop charging Scheme exit fees for employers leaving the Scheme to pursue self-insurance. Self insurance status is difficult to obtain, with significant financial criteria. There are minimum financial requirements for Self insurance, and there is a need for financial guarantees, excess of loss insurance and very strict requirements around injury management resources and standards and Occupational Health and Safety resources and standards. better control of human resources. Very rarely does a Self insurer elect to give up its status and return to the Scheme, and success stories abound. Recent publicity has highlighted the exceptional record of improvement of the Local Government Association Scheme and in September it was reported that Electrolux had “slashed workplace injury rates at Dudley Park by more than half, reducing the budgeted cost of injury and rehabilitation from $8 million to around $600,000.00”. The Dudley Park project was “driven by two imperatives: the safety of our workers and the cost of an unsafe workplace” and the Global Director for Environment, Health & Safety, in referring to the Self insured status of Electrolux, is reported as saying, “It’s a better fit for us because we see the immediate benefits of improvements we make…saving money is a good incentive to improve your safety performance”. The results are remarkable, with the “lost time due to injury” rate dropping from 69 hours per million to 3 hours. It is often argued that there would be a negative financial impact on the Scheme if additional employers were granted Self insured status, however WorkCover has commissioned two reviews on this very point. In 1998, PriceWaterhouseCoopers provided a report, and in February 2004 Trowbridge Deloitte replicated the review. Both reports concluded that concern over the viability of the Scheme through granting greater numbers of exemptions (i.e. Self insured entities) is unwarranted. Specifically, in the 2004 report, Trowbridge Deloitte reported that, “Considering the current scale of the non-exempt Scheme relative to other insurance entities, the number of small to medium employers who can never become exempt, demonstrated preference of significant numbers of larger employers to remain in the non-exempt Scheme and the responsibilities which the Corporation continues to have for exempt employers, we conclude that concern over the viability of the Scheme and the Corporation through granting greater numbers of exemptions is unwarranted”. Further, in relation to the financial position of the Scheme, the authors of the report concluded that, “The practices surrounding the transfer of liabilities to successful applicants (for Self insurance) under Section 10 of the Code of Conduct do not adversely affect the compensation fund”. The fact that Self insurers performed significantly better than the Scheme and that the viability of the Scheme would not be adversely affected if all employers who meet the criteria for Self insurance become Self insured, compels a conclusion that the Scheme as a whole would be immeasurably improved if the attainment and maintenance of Self insurance was encouraged and promoted. It is logical to propose that the transfer of liabilities from the Scheme to the newly Self insured employer would improve the funding position of the Scheme and the funding position of the Scheme would be improved on a long-term basis because significant levels of industry risk would be removed. Everyone in the industry agrees that early and intense intervention provides the best opportunity for effective return to work in a productive capacity. Professor Kim Burton from Kendall Burton Consulting in the UK addressed WorkCover’s annual conference in September and said that 70% of workplace injuries are common health problems, ranging from muscular skeletal to mental illness, rather than debilitating injury or disease and employers should “unless they’re out on a stretcher” negotiate with the worker to see whether the worker could be accommodated to continue at work because this improved the employer and employee mindset about the injury and potential for recovery and could avoid some employees stopping work while they dealt with their situation. In an interview with the Advertiser, he is reported as saying if someone injured themselves at home, they might cope with it quite happily but they were treated differently and behaved differently if they sustained a similar injury at work because, “once it’s in the workplace and in the workers comp context, there needs to be something done right at the beginning to help that person stay at work if they can…what we need to do is say…’What can we do to help you stay here?’”. These comments clearly articulate the advantage that a Self insured employer has. Commonly, a Self insurer will have on-site occupational health staff and/or nurses and the ability to have an immediate impact upon treatment of the injury and rehabilitation. These advantages could be extended by allowing associations of employers to Self insure and operate in much the same way as the Local Government Association of SA. There is ample evidence that State monopoly Schemes have performed poorly. The monopoly Schemes in New South Wales, South Australia and Victoria have all experienced financial crisis and, whilst New South Wales got out of deficit in 2006, it only did so because a bull stock market delivered high investment returns and the Scheme has since slid back into a funding disaster because of increasing continuance rates. The South Australian Scheme has run a surplus only once. Whilst Queensland is generally perceived to perform well, there are signs that an ever increasing number of common law claims is causing concern and premium rates increased in 2010/11 for the first time in 13 years from 1.15% to 1.30% of wages. Perhaps it is time to think outside the square, encourage Self insurance and diminish the role of WorkCover and allow the introduction of private insurers. In Western Australia, the State insurer holds a small market share and competes against private insurers. Price regulation is light and the regulator recommends prices, but insurers may discount as much as they like and levy surcharges on high risk employers. The free market will enable employers to source insurance where their needs are best met by the premium quoted. The Institute found “little evidence” that these choices affected safety, but they markedly affected employer costs (i.e. insurance price). Employer costs were about 10% lower in the competitive States with least price regulation because they attracted more insurers and encouraged rivalry. It is time to remove the vested interest and political considerations from our Scheme and open up the Scheme by allowing WorkCover to compete with private insurers whilst minimising price regulation and eliminating barriers to Self insurance. There is also a good argument for dividing the regulatory and insurance functions of WorkCover, as has been done in Queensland. Each function is quite separate and the separation would allow greater focus on their individual objectives. While Jay was actually promoting the concept of a national workers compensation law, the difficulties associated with harmonisation are many and, I suspect in the case of workers compensation, insurmountable and it would be more profitable to embrace reforms that are achievable. Encourage Self insurance and introduce some competitive tension into the Scheme and it will improve the performance. You can (Piggy) bank on it!